The local television station here in Marbella, RTV, interviewed Lance about his success in chess. With the Saris Solo, I have found the perfect bike rack for the tiny Toyota iQ. Here’s my review. Most fans of professional cycling are aware of the continuing and growing pursuit of Lance Armstrong by the USADA, the American anti-doping agency. Bill Strickland, a journalist who followed Lance for years and became close to him during that time, wrote an article at Bicycling.com in which he implies that someone in the know (Lance? someone else?) has all but admitted that doping happened during his career. Lance did something no one else has ever done in history. He won 7 tours. Podium finishers have been doping since at least the sixties…probably earlier. All of his competitors on the podium were admitted or convicted dopers. No competitor has called him a “cheater” in a competition. The concept of “cheating” requires “non-cheating” competing riders who might have won had you not “cheated.” A doper is not a cheater when everyone in the top twenty in GC has doped. The second and third place guys do not think of themselves as losing cheaters—just as less successful than the guy who won. Either he did something truly and completely unthinkable—won seven tours while all the competition was doping and he wasn’t—or he did something almost as amazing, but more comprehensible—won seven tours in a row preparing in basically the same way everyone else prepares pharmaceutically, but with more focus and diligence in every other area. There is no conceivable argument that what he did in winning seven tours is not amazing, even if one assumes the doping. Nobody else in history could do it or has done it. Hundreds of guys, at least, have doped trying to do it. The reason he won seven tours in a row is not that he may have been taking performance enhancing drugs—you could give the same drugs to most of the peloton without the same result ( and it is proven that many people did receive the same drugs and didn’t get the same result)—the reason he got the results is that he was extraordinary and his team and preparation were extraordinary. 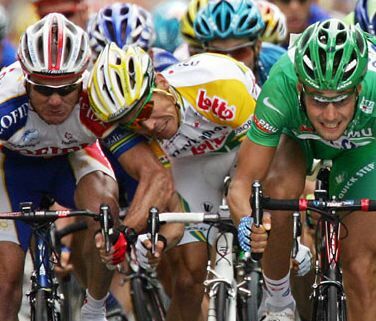 As extraordinary as Lance was, it is important to keep his success in context. He wasn’t a great Classics winner or a winner of the Giro or the Vuelta. He is very impressive in the Tour, but there is a long list of guys from the past who were more impressive on an all-around basis, when you take into account the other grand tours and the Classics. As an all-around bicycle racer he is not in the same galaxy as Eddie. A true cycling fan will love Lance for what he has done and what he is still doing. What he has done and is doing is not subject to any further investigation or debate. Celebrate and honor what Lance has done. You can dwell on the other stuff if you want to, or you can get the same feeling by reading the tabloid press about any celebrity (much of which is also true but does not detract from the amazing things done by some of its subjects). Whether or not Lance ever once took performance enhancing drugs in his life has pretty much no bearing on any of the foregoing. 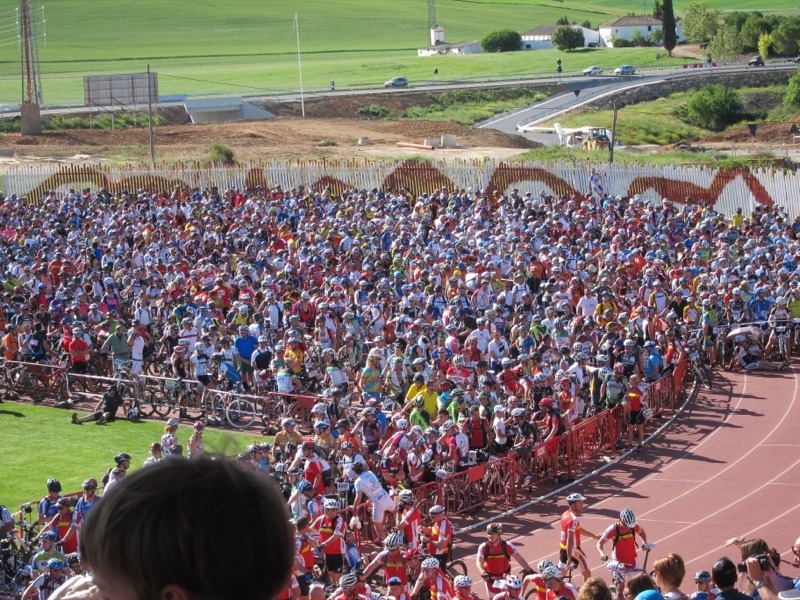 Last Saturday morning, I headed up to Ronda, to join 7,000 other participants in the 2012 edition of the famous 101km de Ronda — organized by the La Legion Española military organization. (And let me assure you, nobody other than an army could handle the logistics of such an undertaking!) 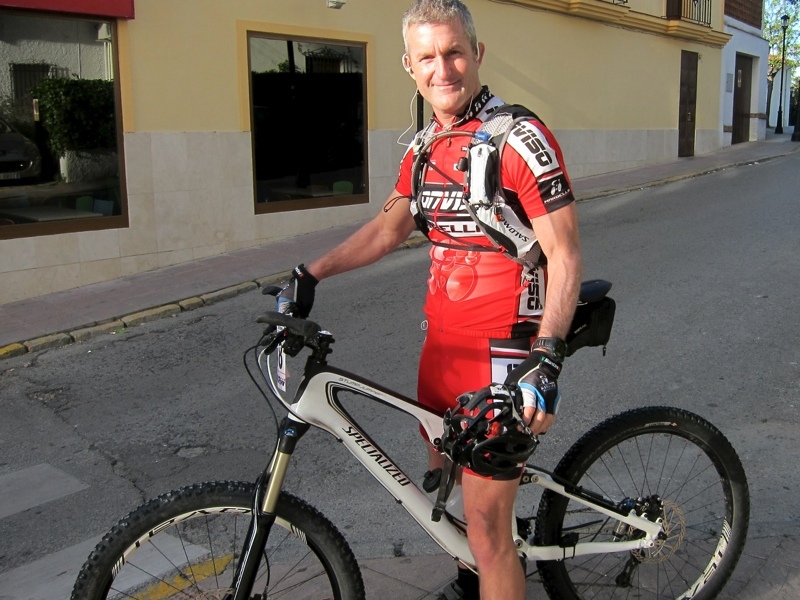 The event involves mountain biking (the sane ones) or running (the insane ones) over 101 kilometers of mountainous trails, through the beautiful Serrania de Ronda. 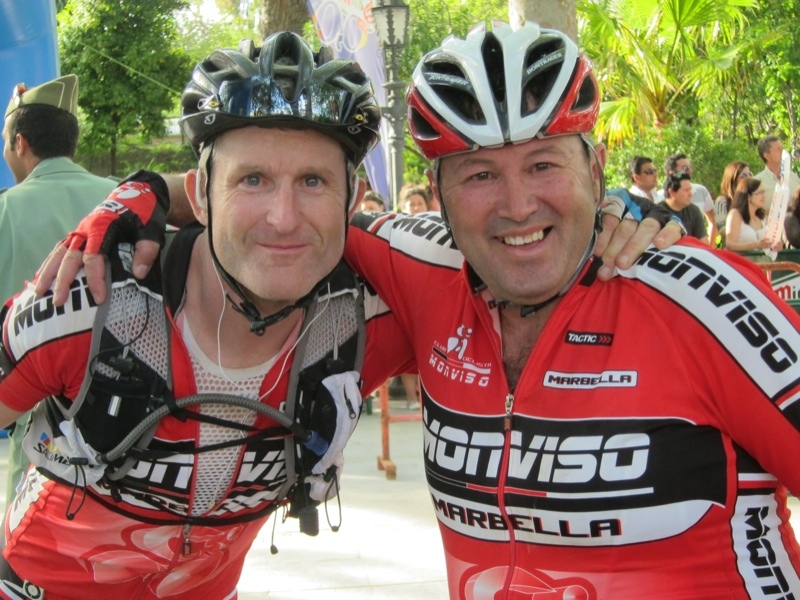 Last year, I arrived at the Ronda football stadium 15 minutes before the 11am start, and by a sheer stroke of luck was able to move up to the center of the bunch, to meet up with my Marbella cycling buddies. This year, I arrived two hours early, so we could all enter the football stadium together. Whereas last year it was rainy and cold, this year it was hot. I mean, really hot. Standing with my bike, packed in the middle of 3,500 other cyclist, waiting for the race to start, and already suffering from the heat at 9:30 in the morning, I had a feeling it wasn’t going to be a great day. A mild winter didn’t prepare us for this heat. Having had a relatively mild winter this year, all of my training took place in cool temperatures. This was literally the very first hot day of the year, and I was told the temperatures reached over 38 degrees Celcius (100 degrees Fahrenheit)! Not even 30 kilometers into the ride, and I started getting cramps in my left calf. And it got worse throughout the day. Cramps in both calves. Cramps in my inner thigh. Cramps in my achilles heel area. And, finally, cramps in my triceps. My triceps! Every time I passed a shady spot, I’d see three or four cyclists laying on the ground. I saw people at the rest stations with IV drips in their arms. And with only 8 kilometers to go, I saw a military vehicle absolutely full of people quitting and being transported back. Having suffered through 92 km, they couldn’t make the final 8. The last 30 kilometers of the race — known affectionately as “Purgatory” — are the worst. After passing the military cuartel checkpoint, you have to climb a brutal trail up to the “Ermita de Montejaque”, including about a kilometer so steep it’s pratically impossible to stay on the bike. Traditionally, from that point, it’s a 20 km rolling ride back to Ronda, where the final “Cuesta del Cachondeo” awaits — a short, but vertical climb up the cliff over which the city of Ronda was built. This year, however, they had a little surprise for us; they replaced that 20 km rolling section with another climb — an awfully steep section of bumpy, twisty trails that were impossible to bike. Everybody — everybody! — was off their bike walking. At some point on that climb, I looked down through the sweaty fog at my Garmin GPS, and saw 20 km remaining, and thought, “OMG, there is no way I can finish this race. I just can’t do this for another 20 km!”. But then I heard somebody tell their friend we only had 13 km to go. What!?! Then it hit me — my GPS was still on “auto-pause” mode, whereby it stops the clock anytime I’m not moving. Obviously, the times during the day when I’d been walking the bike, the GPS had stopped! OK, 13km to go is much better than 20, so I soldiered on. When I arrived to the “Cuesta del Cachondeo”, I decided to try to ride up it, as walking immediate triggered more cramping in my legs. But then about halfway up, I hear, “Mac! Mac!” I look up, and see that it’s my buddy Paco Rosado (who calls me Mac), walking his bike about two zig-zags up the rocky path. When I caught up, I decided to walk with him, but it was impossible. Cramps. Cramps. Cramps. So I remounted the bike, and rode the rest of the way up, and waited for him at the top. We rode into the finish line together, very happy to have finished, and very happy the ordeal was over! Only after I finished, did I begin to realize how hard the day had generally been on everybody. The straps of my helmet were absolutely caked with sald. One of my other buddies apparently lost consciousness for 15 minutes and had to be attended by ambulance. The medical tent was full of dehydrated bikers and walkers with IVs in their arms. And there was an abundance of stories of cramps and suffering. But am I looking forward to next year? I can’t wait! That’s the strange thing about the 101 km de Ronda. Special thanks to the wife, who supported me as always. Normally she’s one of the insane ones who runs the 101km. But this year she skipped the event, getting ready for a 215 km event coming up in June. Today, on a beautiful November Sunday morning, we packed up the car and headed out to the town of Yunquera, Spain, about an hour’s drive from Marbella. While the wife and kids did a hike in the Sierra de las Nieves, I took the opportunity to do some road cycling — from Yunquera to Ronda, and back. The route — which is spectacularly beautiful (and, really, what isn’t around Andalucia?) — leaves Yunquera, almost at the altitude of the Puerto de las Abejas (820m), and then dives right down to the town of El Burgo. From there, it’s a wonderful, curvy, long mountain climb towards the Puerto del Viento (1190m). The climb passes initially through forests, with a stunning view on the left down to the Fuensanta trail and steep river valley, after which it breaks open into the rocky (and still steep) terrain leading up to the Puerto del Viento. From the (very windy!) Puerto del Viento, the freshly paved open road winds down into Ronda. It’s a surprising drop in altitude from the Puerto to Ronda, so take time for a coffee and rest before turning around to head back! All in all, it was a super route — about 70km in total. Yesterday we got a glimpse of the future of race timing, as the Makalu team traveled to Atarfe, Spain to conduct a live demonstration of our new product, RaceSplitter — an iPhone application for race timing. AYER HEMOS TENIDO UN ANTICIPO DEL FUTURO DEL CRONOMETRAJE DE CARRERAS, al tiempo que el equipo de Makalu viajó a Atarfe, Granada, para llevar a cabo una demostración en vivo de nuestro nuevo producto, RaceSplitter – una aplicación de iPhone para el cronometraje de carreras. Homenaje de los 101km de Ronda. Each year in March, “La Sufrida” organize an event in Ronda, Spain, in homage to their annual “101km of Ronda” race (which takes place in May). 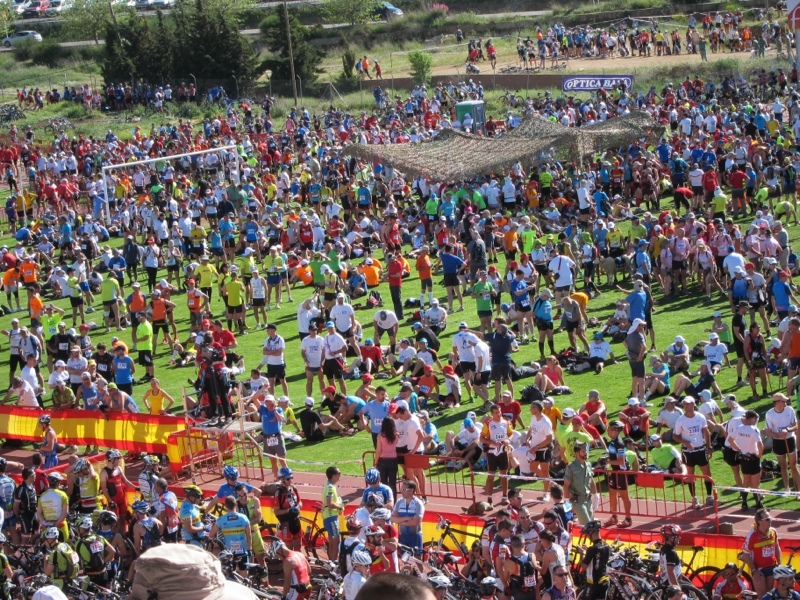 The March “Homenaje,” just like its big brother in May, offers three modes of participation — a 69 km mountain bike ride, a 44 km run or a 70 km duathlon (run and bike). Last weekend, Pino and I participated in the event — her doing the run (crazy, I know), and me doing the mountain bike ride. Continue reading Homenaje de los 101km de Ronda. Posted on March 29, 2010 May 25, 2015 Categories SportsTags Cycling, SportsLeave a comment on Homenaje de los 101km de Ronda. Dieting and weight loss report. 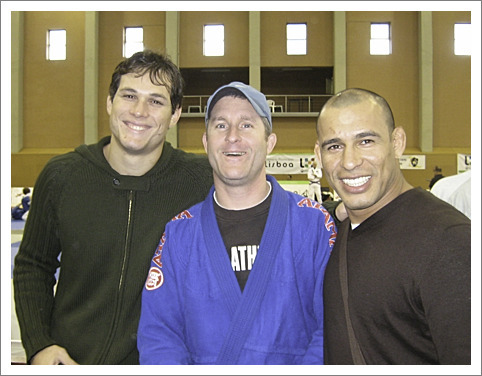 In the sport of Brazilian Jiu-Jitsu, I’ve been fortunate (having trained under some great coaches) to have won gold medals two times at the European BJJ championships. 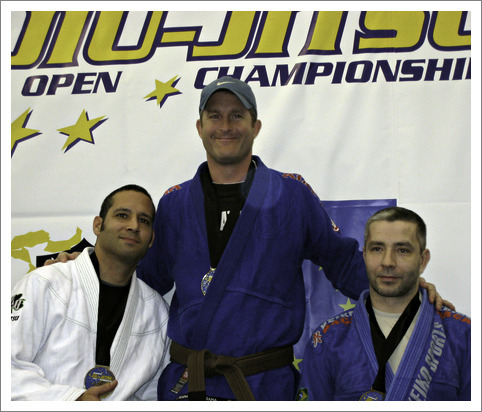 On both occasions, I fought in the lightweight division, 76 kg (including the gi/kimono). Generally walking around at 76 kg, I would need to only lose about 2 kg a couple days before the event (to compensate for the weight of the gi), and would generally be one of the bigger and stronger participants in the division (being at the very top of the weight range). Continue reading Dieting and weight loss report. Posted on August 14, 2009 April 20, 2015 Categories LifeTags SportsLeave a comment on Dieting and weight loss report. We tend to spend a lot of weekends river-walking in the local mountains. 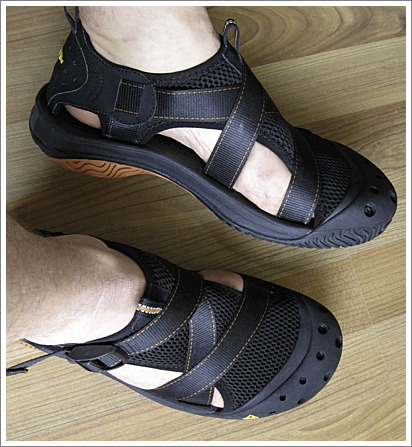 My Chaco sandals (which I love!) just weren’t cutting the mustard for this kind of activity — I was too frequently stubbing my toes on rocks, or slipping, or having to take them off to remove the odd pebble that found its way in. So I did a little research, and ordered a pair of Keen Hood River II sandals from Altrec.com, in the US. They just arrived today, and I was elated to find that I’d ordered the right size (as ordering shoes via the internet is a risky business.) The shoes are very comfortable, as I expected being the owner of some other Keen shoes, and the soles appear to have a nice gripping surface. And the toe cup is definitely going to make boulder hopping a much less painful activity! I’ll report back in a few weeks, after spending some time in the wild with them. This weekend we stayed again at the cabañas in Jimera de Libar, where, on Saturday morning, Pino ran in the first annual “Carerra de Alpandeire”, a 10 km mountain race. She finished 6th (in the female group), and had a great time! Anywho, this image looks like a fine candidate for a Caption-of-the-Day contest. Any takers? For quite some time now, my primary way to read books has been the Palm device. eBooks, as they are known, can be stored on the Palm’s external memory card, allowing me to carry around practically an entire library. The Palm eReader application lets me take notes, create bookmarks, and remembers my current position in the book. The only real problem I’ve had with eBooks has been the fact that their publication typically lags the print version by several months. But not anymore. Today I read that a new book on Lance Armstrong, “Lance Armstrong’s War”, was recently released. I checked eReader.com, and there it was! Yahoo! Just what the doctor ordered as I prepare to watch Lance this Saturday afternoon kick-off his final bid to win the world’s greatest bicycle race, the Tour de France. If he does so, it’ll be his seventh consecutive win of the race, something that is likely to be never repeated again.